Around 2010, I picked up the book Waking Up In Eden by Lucinda Fleeson and learned for the first time about the Allerton Gardens on the island of Kauai. I never really expected to see the place myself, but a great deal showed up on Travelzoo and away we went to Hawaii in 2013. Even before we could check into our room, we met with the concierge to plan our Kauai excursions. That very evening was a special sunset tour of the Allerton Gardens! The gardens, located at the mouth of Lawa’i stream, were initially developed by Alexander McBryde, who purchased the property from Queen Emma in 1886. McBryde sold the property in 1938 to Robert Allerton (1873 – 1964) of Chicago. Named Lawa’i-kai (“by the sea”) by Allerton, the gardens are now part of the National Tropical Botanical Garden (NTBG). An artist and art patron, Allerton expanded the gardens to showcase his large sculpture collection. Robert was the only son of Samuel Waters Allerton (1828–1914) and Pamilla Thompson Allerton (1840–1880), born in Illinois in 1873. Samuel was a prominent and wealthy banker. Robert was a traveler and philanthropist for much of his life. A principal reason for his peripatetic lifestyle was his relationship with John Gregg, an aspiring architect he met in 1922, who became his lifelong companion. Allerton officially adopted Gregg to give them a legitimate relationship, but it was widely known to be intimate. Kauai was more a refuge than a vacation home. The Kauai estate was just one of the generous bequests made by Allerton, and transferred to the NTBG upon the death of John Gregg Allerton in 1986. Looking down to where the Lawa’i stream empties into the bay. The Allerton home is not visible directly below. One of the buildings that make up the main part of the estate. The original home, designed by John Gregg Allerton, was destroyed by a tropical storm and later re-created. Common moorhen on lily pond. The branches of the Moreton Bay fig trees (Ficus macrophylla) grow so they don’t overlap with their neighbors, causing this jigsaw effect. The buttressing roots of these fig trees snake along the ground. The Putterer gives you an idea of the scale (he’s 6’1″). A spider patiently awaits dinner amid the ferns. Hawaii is a land under invasion. It has one of the highest rates of species extinction anywhere on the planet. Animals that have gone extinct and are currently in danger get the lion’s share of attention, but there are 220 plant species in Hawaii that now have fewer than 50 individuals remaining. The NTBG is key to helping save these endangered plants. Though the Allerton Gardens have many plants imported from around the world, it is still an important showcase for tropical plant species and helps to educate the public about the threats to tropical island habitats. The pendulous flowers on this plant remind me of Datura, but I confess I can’t tell you what this is. The statue at this end of the mermaid fountain exhibits evidence of some fondling. A frontal view of the mermaid shows less evidence of molestation. Great story, Eilene! I love how you took advantage of the moment. Kauai is one of my favorite places, yet in 3 visits I don’t remember visiting the gardens. Clearly I have missed something spectacular! I’ll not let that happen on the next visit! Your pictures are beautiful and the history was great. Thanks so much for sharing! I’d like to explore more of the island someday. What are some of your favorite sites? Wonderful post! I hope to visit Hawaii one day, and now I have at least one item on the “Must see” list. Thank you! It’s really a beautiful island. Do check it out! The colors are just as rich as they can be. Terrific post! The plants! We find solitude and wind up wrecking it at the same time. How do 8billion people Tread lightly? 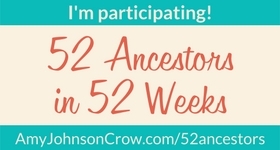 I just saw in a blog post this morning that some 87-year-old man has like 350 living descendants. That’s a tad over the replacement count! Whoa! He should have bought a tv! Those are pretty impressive tree roots! Lovely post – I think Hawaii will always remain a dream for me. There are many just as lovely islands much closer to where you live! I’m heading up to Scotland in the morning – we may visit an island if we get a chance! Yeah, I thought so, too! They’re so polite to one another. I’ve been to Kauai but don’t remember these gardens. They are lovely as your photos show. Just reading about your trip to Hawaii makes me sigh. Such a beautiful state. If I go back, I’d like to visit Maui and the big island. We’ve been to those islands, too. Loved the Big Island, so much to see and do. Not a fan of Maui, too commercialized for us. Maui seems pretty expensive, too. Very nice photos! I have never been there. The closest I have been in Oahu when I surfed professionally. Professional surfer?! You’re always full of surprises, Allen! Beautiful! A couple of years ago, we took a cruise around most of the islands with the purpose of seeing which were our favorites so we could someday return. Kauai was my fave. Thanks for this great post about the gardens!!! Maybe I’ll start checking out travel deals to Kauai!